Maruti Suzuki India Limited, India’s car market leader, sold a total of 104,791 vehicles in August 2010, growing 23.6 per cent in the month. This includes exports of 12,117 units. This is the highest ever monthly sales recorded by the company. The company had sold a total of 84,808 vehicles in August 2009. Maruti Suzuki’s volume in the domestic A2 segment grew by 25.7 per cent and in the A3 segment the sales volume grew by 34 per cent during the month as compared to sales in August 2009. During the month the company launched Alto-K10 with 1-litre K-series engine and five CNG models across segments. Customers ranked Maruti Suzuki as the No.1 company in the annual Sales Satisfaction Survey conducted independently by JD Power, a leading global research agency. The company has also introduced an automatic transmission version of its popular premium hatchback car, Maruti A-Star in August 2010. 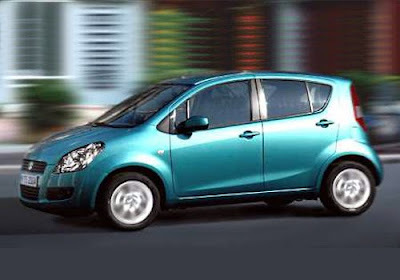 Maruti Ritz 'Genus' which is the newly entrant special limited edition of Maruti Ritz in the Indian auto market. With the launches of Maruti Ritz Genus, the company was celebrating the first anniversary of Maruti Ritz in the country. Apart from that launch, Indian car lovers will see more launches in India that includes Skoda Yeti, Tata Aria, Hyundai Santa Fe, Chevrolet Sail and Toyota Etios.